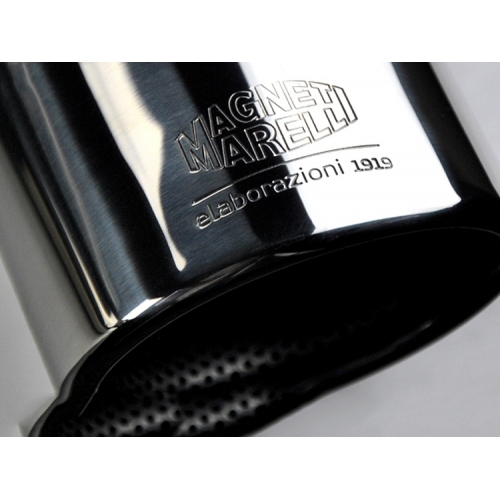 This unit comes with the Magneti Marelli Terminale Track Day (2 tip) Exhaust System (2 pieces) and the Magneti Marelli Cat Back Race Tube. 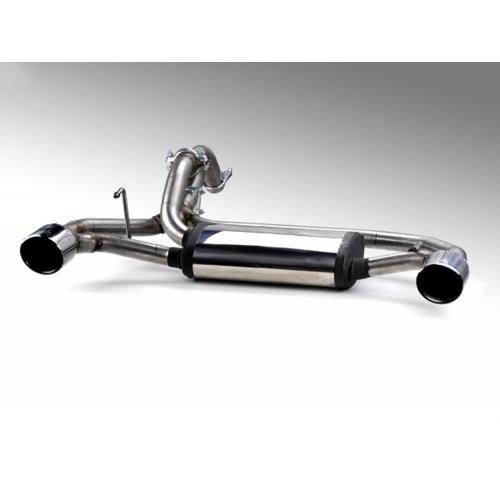 This system was originally designed for the European Version of the FIAT 500 ABARTH. When used with the Cat Back Race Tube (included) it will fit both the European and North American Version of the FIAT 500 ABARTH or 500T. 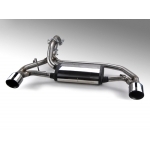 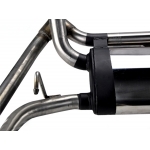 You will be received a complete bolt on four piece Performance Exhaust System (Exhaust, Race Pipe and by pass pipe). 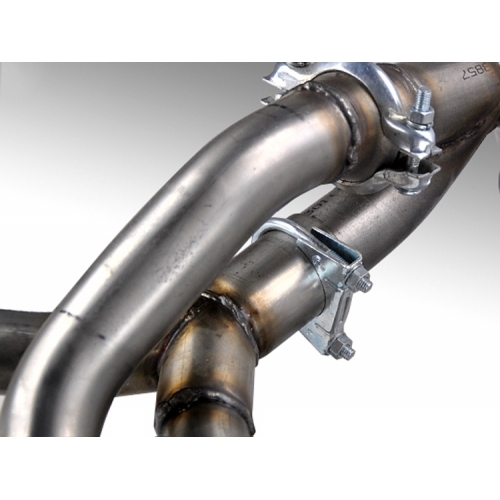 You will also receive an additional pipe that will allow you to switch from Street Use to Race Use. This module (pipe) allows you to switch the exhaust route based on what kind of sound and performance you are after.